Summer is usually a time for hanging out poolside, enjoying cookouts and eating too much ice cream. It also can be a time of growth and transition, an interlude to the next year of school or the next phase of your life. Maybe you want to work out more, read more or start an organic garden. Or, maybe your smile needs some work? If your teeth could stand to be straighter, make this summer count by getting Invisalign in Lawrence. 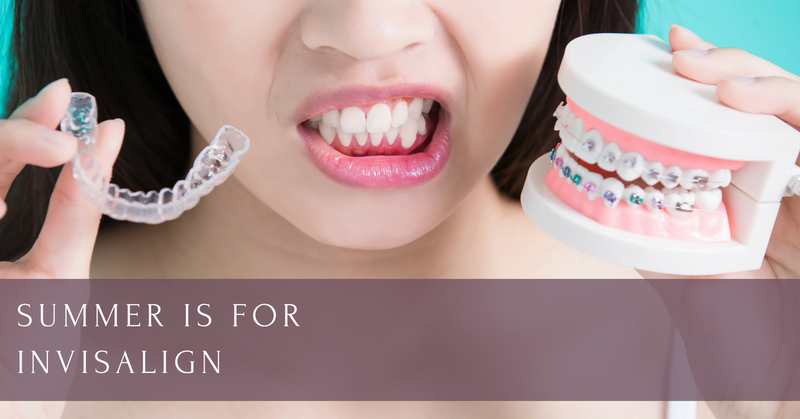 Having crooked and misaligned teeth can do a number on your smile and your self-confidence. For young adults who are still in school, embarrassment over a crooked smile may cause some to miss out on opportunities because they are afraid to speak up and show their teeth. You can choose traditional braces to correct teeth misalignment and other bite problems, but who wants to have a mouth full of metal wires and brackets when you can choose a more convenient, attractive option? The answer is Invisalign in Lawrence. Invisalign can straighten your smile without the obvious appearance of most dental appliances. At James Otten Dentistry, we use clear, custom-fitting devices called aligners. You can remove the aligners when you brush your teeth, when you take pictures or when you eat so your pearly whites are still taken care of but you don’t have the inconvenience of wearing braces. What’s more, the aligners move your teeth into position in a gentler manner, making it safer, less painful and more effective than traditional braces. You might be wondering when you should get your teeth corrected. The answer to this is a resounding NOW! While school is out, take this opportunity to get Invisalign in Lawrence. You’ll have time to adjust to the aligners before school starts up again, and you should be able to see some significant results come Christmas time. Call us today at 866.986.5753 or visit www.jamesottendds.com if you want to start the process of working toward a perfect smile. Our friendly staff is waiting to help you achieve the smile of your dreams so you can have finally say you’re living in the moment and not waiting for it to pass you by. Come see us this summer!